Here’s the funny thing about bukoh guk (dried pollock soup). Though its English name does not sound appetizing, it’s delicious — and it’s delicious even when it comes out of a box. You see, there is a very popular dried/instant soup version of bukoh guk. You can find it many places in Korea; not just grocery stores, but also in convenience stores. (In the U.S., you can find it in Asian grocery stores or on Amazon.com, where it is selling at the inflated price of $10.50 for five small servings.) All you do is add hot water to it. It is really tasty (seriously). The one drawback? It contains MSG. 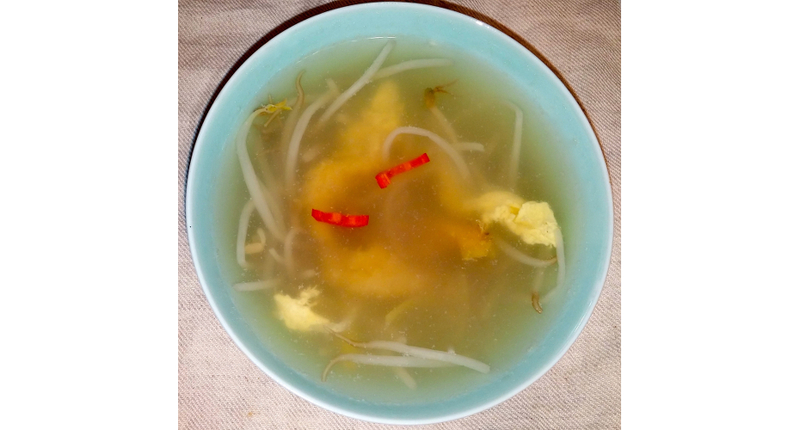 Anyway, for a long time I thought I would never bother cooking bukoh guk since there was an excellent, cheap, widely available instant version I could eat. But now that I have learned to cook it, I know how much tastier this soup is when made from fresh ingredients. Healthier, too! 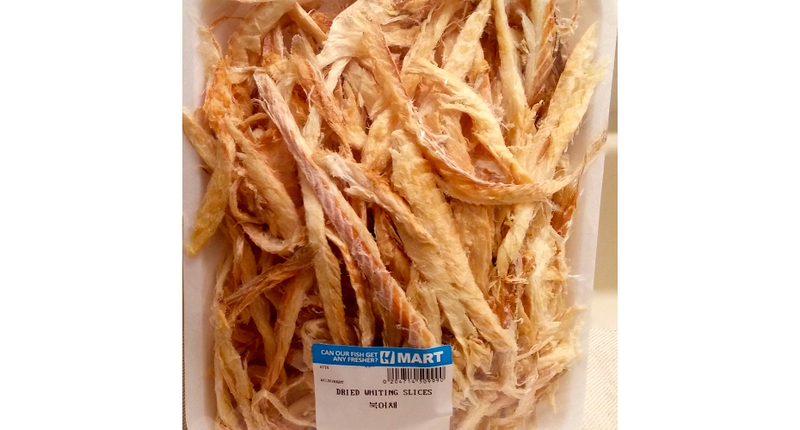 *You can find dried pollock in Korean grocery stores or on Amazon.com for $19 for 5 oz. (which is quite expensive, but a good last resort). It is sold in dehydrated strips. NOTE: Sometimes pollock is spelled ‘pollack’, so look for both spellings. The photos above show what dried pollock looks like in packaging. 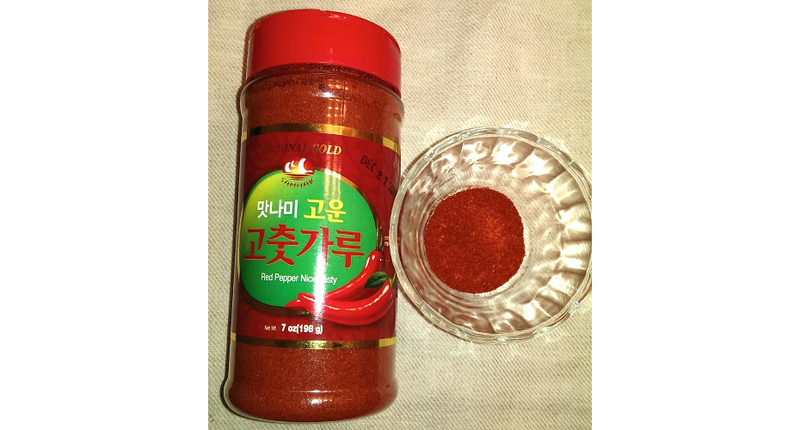 **The type of pepper that Koreans use in this dish is basically a red chili pepper. The shape is long and thin; see photos above. 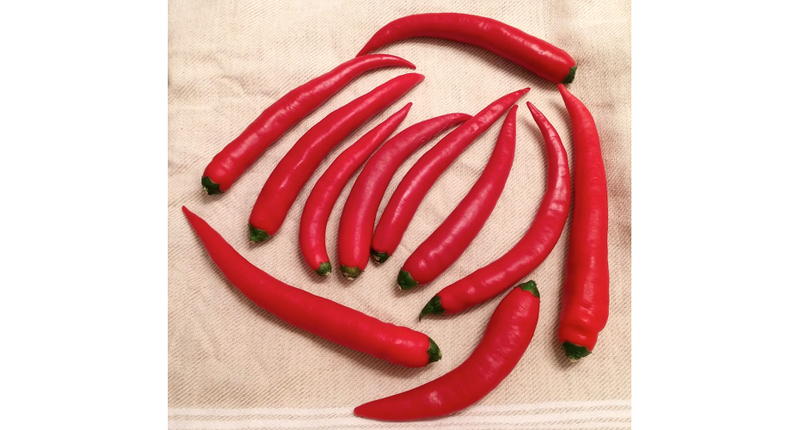 You can find these peppers at Korean grocery stores. ****Korean radishes are white, large and round, with a shape sort of like an enormous potato. 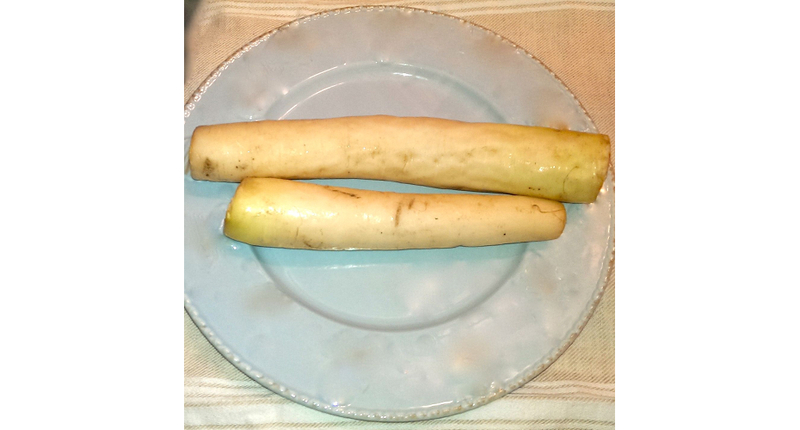 Daikon radishes are much longer and sometimes referred to as “white carrots” because of their appearance. You should be able to find these radishes at Asian grocery stores and of course at Korean grocery stores. You can find photos of both types of radish above. Soak pollock in water 20 to 30 minutes. Thinly slice it. Prepare the stock by putting all the stock ingredients into a large saucepan. Bring stock to a boil, cover and simmer 10 minutes. Strain stock and discard the solids. Put the stock back in the pan and bring to a boil again. Add the fish and simmer 3 minutes. Add the bean sprouts and simmer 2 minutes. Add salt to taste, sprinkle with pepper and transfer to a serving bowl. Garnish with the sliced chilies and serve red pepper powder in a side dish.